Earlier this month, Lou and I did a fashion shoot, the details of which I will reveal once it is actually published. 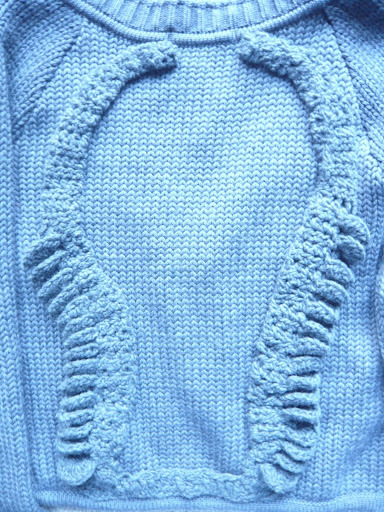 As is the case on most fashion shoots, we did not end up using everything we had leased, but I wanted to give a bit of air time to one of the garments which didn’t make it into the official photos, namely this jumper with crocheted antlers on the back. Yes, you read correctly, crocheted antlers. Here’s a closer look (the colour is more like the photo above, not this washed-out grey that my camera has produced). 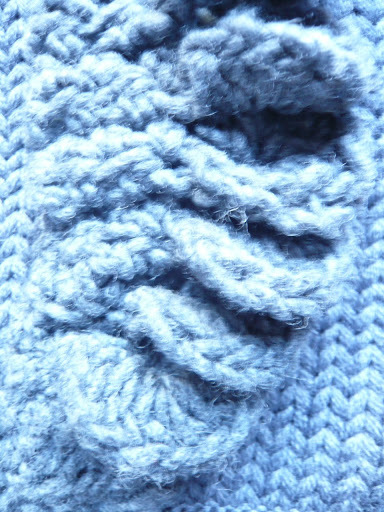 And an even closer one – can you tell that the antlers are basically made from spirals of crochet, sort of how you’d do a shell stitch? This only furthers my opinion that practically everything can be made in crochet (not that I have had the time to crochet my own coral reef just yet). Lou and I met one of the designers behind this brand, Serpent and the Swan, during fashion week in Sydney recently, and fell in love with the artistry of it. The designers are two sisters, one of whom has a background in creating prosthetics and theatre props and who is responsible for the resin trimmings that adorn the garments, such as this bee on the cuff of a top. 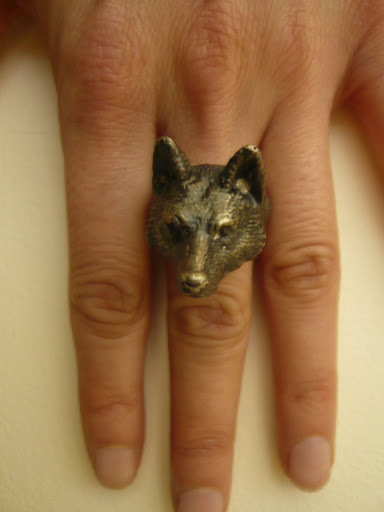 They also make trimmings like bones and other animals out of resin, and even jewellery like this wolfy ring. This post doesn’t really do the brand justice, so head on over to their website if you’d like to see more. ah I love those ladies, yes loved their wolf jewellery too! 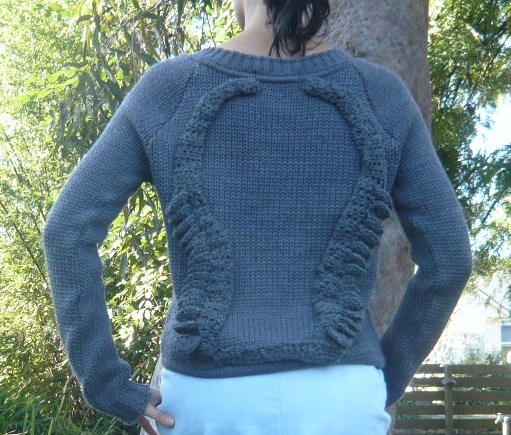 Great jumper!